The next NBA season is about to begin! By which I mean, when people get NBA 2K19 and load it up on their system of choice, a season will begin for them. The latest entry in 2K Sports’ series is here, and it is about what you can expect. Dunks will be slammed. Teams will be managed. Avatars will be created. Microtransactions will be pushed. While some parts feel relatively solid and entertaining, there are also things that remind you that this is not only a 2K game, but a launch 2K game with major growing pains. 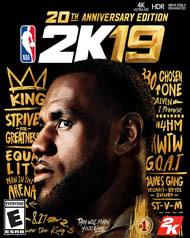 NBA 2K19 is a serious basketball simulation, one that is designed to make you think about your decisions and, depending on the mode, attempt to improve yourself and your stats. The actual basketball gameplay element feels really good. It is easy to control and play, with different button and analog stick presses giving you different shooting, guarding, and passing options. It took me some time to adjust to the sweet spots with shooting, but passing especially seemed exceptionally reliable and tight. The actual mechanics felt fair. The difficulty options still let you tweak things to your liking, with five choices ranging from Rookie to Superstar and option to custom many elements, and 2KU’s Scrimmage and Practice Plays are good about getting people up to speed with everything this simulation has to offer. Getting into NBA 2K19 is exceptionally easy too. There are so many gameplay options here, and everything is organized in a way that helps people see where everything is and dive into exactly the sort of action you might want. Play Now gives you lots of options, from an immediate standard match alone or with others, the option to go one vs one, two vs two, three vs three, four vs four or five vs five, and Play With Friends. MyCareer sends you right into action with your custom character. MyTeam has solo or multiplayer card-based team options. 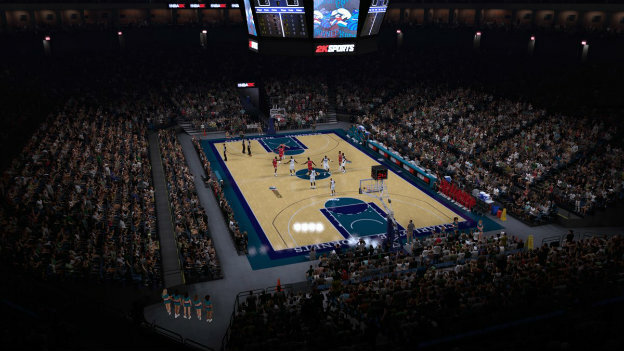 MyLeague returns with things like both MyLeague offline and online and MyGM options. There are also all the customization options you expect, like options to create players, draft classes, rosters, and such. It has been a while since I have played, and an hour spent in 2KU made me feel like I was ready to start wading into the pool. By the time I had finished MyCareer’s The Prelude and went through one fourth of a season with The Bulls, I had gone from Rookie to Pro difficulty. MyCareer feels like it has had a lot of attention put into it this year, with an effort made to help give people a chance to connect with their characters and have a more cinematic experience. Before roaming around the Neighborhood, you need to go through The Prelude. Essentially, your avatar had a shot at NBA greatness and blew it. He finds himself in Shanghai with the Bears, needing to learn hard lessons and prove himself. It is basically an introduction to the game and various challenges, giving people an excuse to learn the ropes while experiencing some exposition with actors of varying degrees of fame participating. It is not a bad story, though the actual decisions you make do not really have an impact on the course of events. Though, once you get into MyCareer’s Neighborhood, things can feel frustrating. Ambling around the space can take quite a bit of time, since there is no option to quickly get to where you want to go. Ahead of launch day, getting into a match in one of the center courts could take anywhere from five to fifteen minutes. There are plenty of shops encouraging you to spend currency on customization options and transport options. You also have the more shady, currency-draining options, like the Boost Stand that sells boosts that temporarily make you a better player or Ante-Up betting house where you can bet VC on games. Yes, 2K put an actual betting parlor in the game, so people could squander VC and possibly find themselves in a position where they would need to give the publisher more of their money. I was most impressed by the MyLeague modes. There are a lot of options here. MyLeague is incredibly detailed, offering different training, expansion, scouting, coaching, scheduling, and front office options. From my dabbling there, things seemed sound. But what I really enjoyed was MyGM. 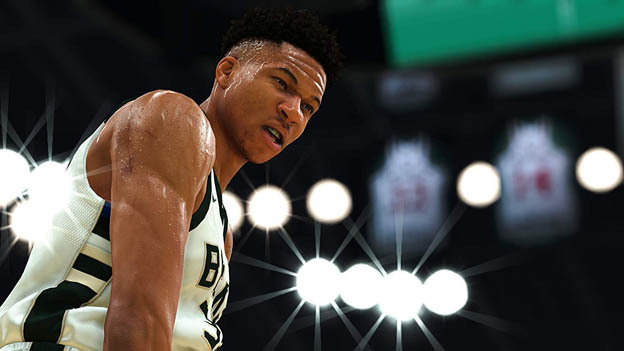 The story carries over from NBA 2K18, though newcomers can choose options for the previous installment’s major decisions before heading into the story. It is very involved, with your custom character’s stats growing based on choices you make. What I especially appreciated was how decisions here actually did matter, as opposed to MyCareer’s The Prelude where you could pretty much say what you wanted and still coast through. As an example, one of the early major decisions involves sniffing out a leak among the people you have hired. It culminates in a meeting where you question staff, look for inconsistencies, and hopefully find the person responsible. It felt like a good way to maybe get more people interested in the MyLeague options, by offering a little more interaction and personality. One thing that remains relatively consistent across modes is that NBA 2K19 is a game that can look very good. The NBA players have true-to-life likenesses. They move fluidly on the court, with actions that seem accurate and perfectly correspond to some actions. (Though, there can be some awkwardness and collisions when people are moving around the court as a match ends.) Your MyPlayer face can look fantastic with the customization options. People in The Prelude in MyCareer greatly resemble the actors playing them. Everything seems very fluid and natural. While NBA 2K19 may look pretty, it is absolutely a buggy mess. Things just kept going wrong. In MyCareer, I had an issue during The Prelude where the game visuals did not shift to the next scene during a cutscene transition, but I was hearing the audio for the next scene. One nearly game-breaking bug I encountered had MyCareer freezing on me when it said it had 100% loaded, and I had to have a friend invite me to Ante-Up, then change my hair to play that mode again. If you have customized your MyPlayer, the customization might only appear in MyCareer and not carry over in Play Now or MyGM. When I was trying Play With Friends, we could not complete a game. 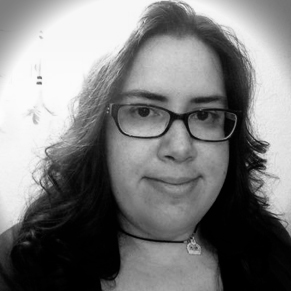 It did not matter if we were playing competitively or cooperatively. Each time, the game would eventually bring up an error that said, “A problem has been encountered that prevents gameplay from continuing. This game will not be counted.” We would be kicked back to the Locker Room and left to try again. Also, microtransactions are still very much a thing in NBA 2K19. In MyCareer, I could see how tempting it would be to get boosts, purchase things like skateboards, and get VC to spend. I also felt it was still very skeevy to have something like Ante-Up, where you can bet currency, there. In an age when governments are arguing that games are encouraging gambling, having an actual casino in your game does not seem like the best move. In MyTeam, it is even worse. I felt like I could not go into a random multiplayer match, even though I had the pre-order LeBron James card to give me an edge. The people playing online were already too well prepared, probably from investing in packs. The only time MyTeam felt fair was when I stayed in Single Player. I think NBA 2K19 could maybe, possibly, eventually be a good game. It still is definitely a microtransaction-heavy game, where areas like MyCareer and MyTeam might be best enjoyed alone or only with friends if you do not want to go spending real money on them. MyLeague is a solid simulation, with different modes offering varying levels of accessibility. Play Now is a great way to get in and play basketball with no muss and no fuss, though the online multiplayer had serious issues ahead of the official launch. This is a game that is in need of some patches and, hopefully in future installments, adjustments that make the online interactions more enjoyable for people who do not want to grind endlessly or pay extra cash. Until then, I am left wishing I could actually complete a game against friends and wondering if NBA 2K19 will decide to lock me out of MyCareer again. 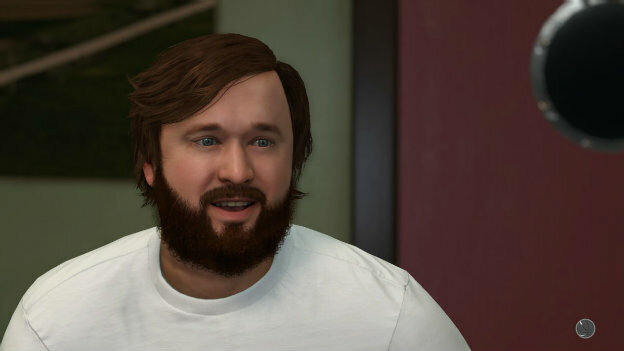 NBA 2K19 can look really great, with actual NBA players and MyCareer Prelude actors who greatly resemble the people voicing them. Though, there is the occasional issue where your custom characters sometimes do not appear as they should or at all. It is easy to control NBA 2K19, with inputs that feel responsive and accurate. Sometimes the in-game commentary does not seem like it is actually accurately describing what is happening on screen, but the performances are mostly good. There are a lot of modes, sure, but some of them are just plain broken at launch or so biased towards people continuing to pay-to-play that it will prove very frustrating for anyone who wants to play online. Take Control with Takeover: Harness your MyPLAYER’s full basketball potential with the new Takeover feature. Unlock special moves and abilities never before seen on the court, or activate Team Takeover and unleash the power of your full squad. Run the Neighborhood: Make a name for yourself on the court, at the Under Armour Cages, and during live events on the block. Ball until dawn with new day to night transitions, walk on at the Jordan Rec Center, or get the old Crew back together for exciting 3 on 3 action. MyTeam: Create your very first MyPlayer card, and ball with LeBron, Kobe, and the rest of your collection in a variety of competitive modes. Introducing the new Unlimited mode, allowing you to pick any five cards from your deck and battle against other players online. MyCareer: The original career story mode returns with an all-new, immersive narrative charting your journey from China to the G League and eventually the NBA. Featuring an all-star cast, endorsements tied to your popularity, and new team chemistry elements that allow you to dominate the hardwood.